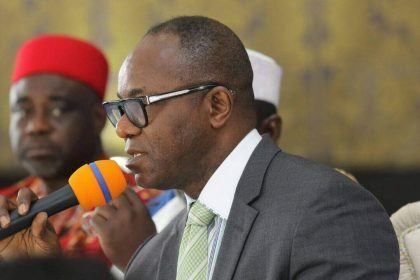 Idang Alibi, Abuja: Our attention has been drawn to a message making the rounds on social media of a purported memo by the Honorable Minister of State for Petroleum Resources, Dr. Emmanuel Ibe Kachikwu to the President on the fuel crises. The message and it’s content is false. This is not a time for diversionary issues as the Petroleum Sector is dealing with a serious National issue. We are focused on collaboratively finding an urgent solution to this crises. The Minister of State continues to monitor the current fuel situation and to work with NNPC and DPR to continue to execute already communicated ministerial directives to maximally flood the market with products and prevent and penalize any sabotage attempts at diversion by any culprit. The Minister of State appreciates the pain Nigerians are going through but urges calm and understanding as NNPC is doing everything possible to immediately end this fuel crises situation.